The official name of Belgium is the Kingdom of Belgium. Belgium has a population of 10.5 million people (10, 444, 268) as of July 2013. Covering an area of just 30, 528 km² (11, 787 mi²), Belgium is one of the most densely populated countries in the world. The largest city and capital of Belgium is Brussels. The city has a population of 1.2 million and serves as the capital of the European Union and is home to the NATO headquarters. There are three official languages in Belgium. Dutch, spoken by just under 60% of the population, mainly by the Flemish to the north in the Flanders area. French is spoken by around 40% of the population and mainly to the south in the Wallonia region. There is a small group of German-speakers in eastern Wallonia. Nearly all Belgians live in cities, the country has an urban population of over 97%. During the 16th century Belgium produced a number of influential scientists including cartographer Gerardus Mercator and anatomist Andreas Vesalius. The town of Spa in Belgium is where the word 'spa' comes from. People as far back as ancient Roman times used to come to the town to bathe in the famed cold springs for health and healing purposes. Belgium is world-famous for beer. There are over 1100 varieties of beers made in Belgium and the country often produces international award winning varieties. 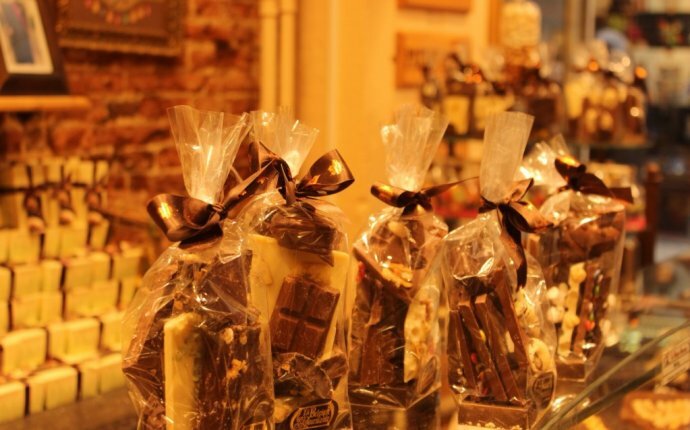 Belgium is world-famous for chocolate. Praline chocolates were invented by Jean Neuhaus in Brussels in 1912. Today, Belgium is the world's number one exporter of chocolate, with 220, 000 tonnes of chocolate produced per year and shops in Brussels international airport are said to sell the most chocolate in the world. Belgium is world-famous for waffles. There are 3 main types of Belgian waffles, the most common is Liege waffles which are eaten like a cookie, Brussels waffles are larger and lighter in color and eaten with toppings such as strawberries or ice cream, while galettes are thin, soft and usually eaten for breakfast with jam. French fries are believed to have been invented in Belgium not France. In 1846, Belgian instrument maker Adolphe Sax invented the saxophone. Belgium uses the Euro currency, the name of which and the design of the € symbol were first suggested by the Belgians. Brussels sprouts, as we now know them today, are a popular vegetable in Brussels and are said to have been first grown in what is now modern Belgium. Belgium has more comic makers per square km than any other country in the world. Famous comic book series to come out of Belgium include, The Adventures of Tintin, The Smurfs and Asterix (originally a French creation for French-Belgian audiences). Football (soccer) is one of the most popular sports in Belgium along with cycling, tennis, judo and swimming.